National Stock Exchange of India Limited (NSE), the largest stock exchange in India has transformed the capital market. It has played a critical role in reforming the Indian securities market. According to the World Federation of Exchanges’ ratings NSE ranks among the top Exchanges in terms of number of equity trades, the largest exchange in terms of contracts traded in Index Options and second largest exchange for Stock Futures. 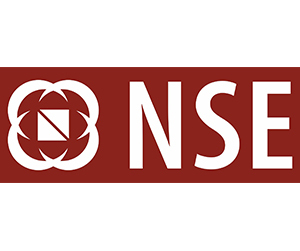 NSE operates a nation-wide, electronic market with more than 180,000 terminals across 600 districts that offers the most preferred trading platform in equities, equity and currency/interest rate derivatives, along with a platform for distribution of mutual fund and lending and borrowing of securities. 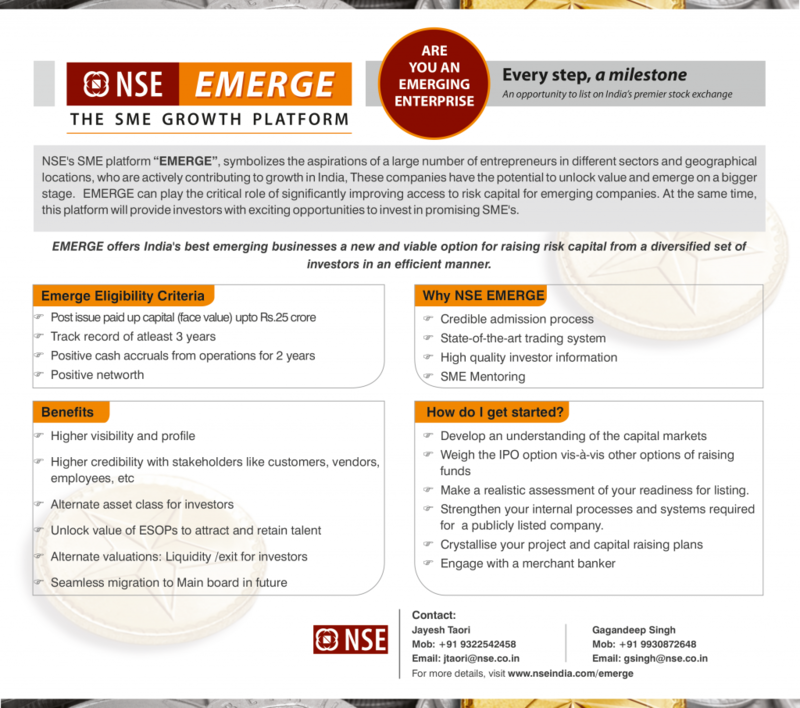 NSE EMERGE is the most preferred platform for SMEs to facilitate SME’s by creating an enabling environment for Entrepreneurs to tap the public markets to meet their funding needs. The focus has been on listing of real economy companies with growth prospects. Currently 119 companies have been listed with an approximate fund raising of Rs. 1678.62 crore, NSE is committed to operate a market ecosystem which is transparent and efficient; and at the same time offers high levels of safety, integrity and corporate governance, providing ever growing trading & investment opportunities for investors.